Today's theme ... crooked. 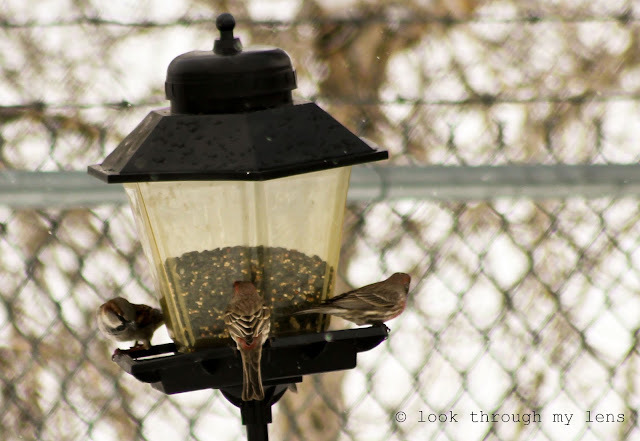 Three birds are sharing this crooked bird feeder. Beautifully taken, I love what the shallow depth did to the fence behind...it really makes the feeder and the birds come alive! The bird feeder seems to pop off the page with the blurred fence behind. Very nice. I don't think they mind the slope, and it is good to see the lesser birds getting a feed too.